Currently at Harmonie Cafe. TripAdvisor said this would be one of the best stops in the 10th Arrondisement. They are absolutely right. Countless movies have made Parisian cafes the setting for a budding romance (or that into its wilting stages). It is a charming, quaint, usually family-run place where every nook and cranny is distinct from any cafe around the city. Regular customers feel like family, too! Is it hyped up? Absolutely not. Pick one that is situated along a busy intersection, and you will see al fresco settings where chairs all face the street. As mentioned, people watching is the unofficial national sport here. Parisians can sit by lunch, order a cup of coffee and milk that one tiny little cup all the way until the late afternoon, all the while just seeing the world go by. You become quite inspired and also question how this propensity for a high quality of life is not emulated anywhere else in the world? As for the food, these are more simple dishes, some with passed-on recipes. Paris cuisine is more than the haute-cuisine that you normally associate it with. As a matter of fact, a big portion is influenced by peasant fare, the ones that are brought about through the countryside (There’s even this notion that foie gras is a peasant’s dish during the French revolution, since spreading it into bread can feed more people. And yes. Parisians cannot live without bread. They walk kilometers every morning to go to their favorite boulangerie). This is probably how a trip to Paris should be: Never rush it. Take in one place slowly through your selected cafe. It gives you more reason to go back the next time. Well, this is a nice change from the cafes we went to near the Eiffel Tower. 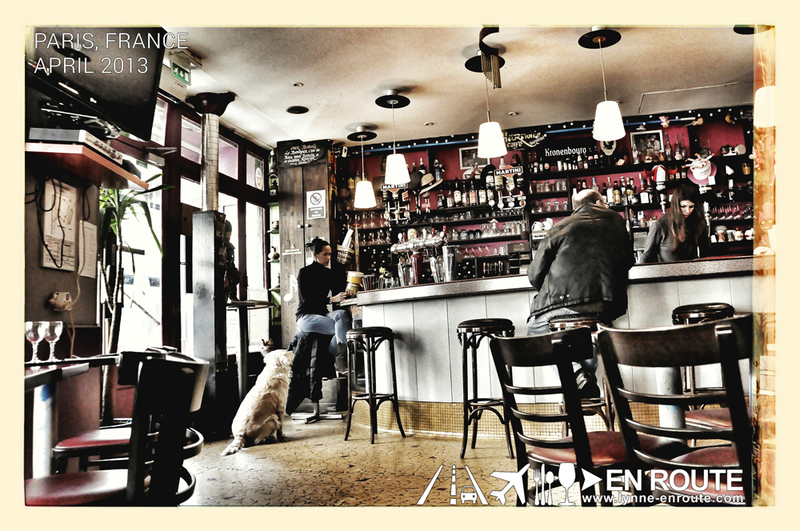 Harmonie Cafe is located in the Montmartre district and it has a homier, relaxed feel. Locals can even come in with their dog and chat with the owners by the counter (while their dog just sniffs around or lazies it up at their feet). If I were to compare it back home, this feels like a casual restaurant in Tagaytay compared to the harried pace in a cafe in the business district. No need to hurry and all that you have to do is enjoy home-cooked food. We are in Paris so a foie gras pate doesn’t seem like a bad start. We get an entire wheel of it, plus a bottomless helping of bread! (Bread is free too, so hooray for that.) No sense in putting it to waste so we eat as much of it as we can (note to self: look for some back home). An order of beef in a creamy mushroom sauce completes our hearty meal and we clean it off with a glass of white wine each. Ahhh, yes. Drinking wine is a European behavior we have no trouble adopting. If we get lucky enough to go back, it will be nice to try more homey cafes like this one.